Chihuahua Rescue We rescue Chihuahuas at Chihuahua Rescue. As seen in People magazine, TV & more- Sanctuary for over 200 dogs. as featured in People magazineÂ® and In TouchÂ® magazine and on TV's "Animal Planet", "Inside Edition" and more. The economic and cultural distater of the preceding eight years have created the worst crisis for Chihuahuas and Chi mixes in US history. Municipal shelters and private rescues are overwhelmed, the US is on track to anually euthanize 12,000,000 pets including nearly 1,000,000 Chihuahuas and Chi-mixes. This does not include the horrificly large number of small dogs killed or dumped in parking lots, parks, roadsides and left in vacant, foreclosed homes to suffer, starve and die who never make it to the municipal system to be euthanized. Please discourage irrepsonsible breeding, buying and always spay or neuter your pets. Chihuahua Rescue alum, Jinky, and his special happy ending... Local boy makes good! 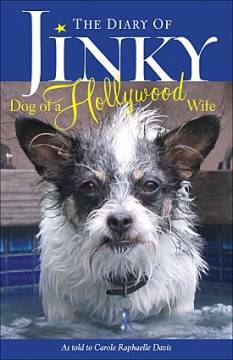 Jinky, once on the kill- list at a city shelter, is now a published author of his very own book, JINKY Dog of a Hollywood Wife! A great holiday gift idea and proceeds help rescues! Truly, a marvelously entertaining read that you won't be able to put down until you're finished.Click here to buy a copy or two at Amazon.com! Click the TV to watch Inside Edition's great piece, "Star Dogs" featuring Chihuahua Rescue. Chihuahua Rescue would like to thank Taco Bell for their thoughtful support. Watch Chihuahua Rescue stars, the adorable Stuart Little & Janet on the Snapple TV commercial! LUCKY "777" MILESTONE! THANKS TO ALL OF YOU WHO THINK RESCUE! Our 777th rescue dog has been placed* into a loving, inspected & qualified home since the opening of our Burbank kennel, 3 years ago. That puts our total at over 5,000 dogs placed since our inception! However, we are only a band- aid for the abused & abandoned dog crisis that has become epidemic in recent years and continues to grow. We need your help now more than ever. As long as there is a dog in need, we will continue to be here for him. Howie video progress report! Click here! 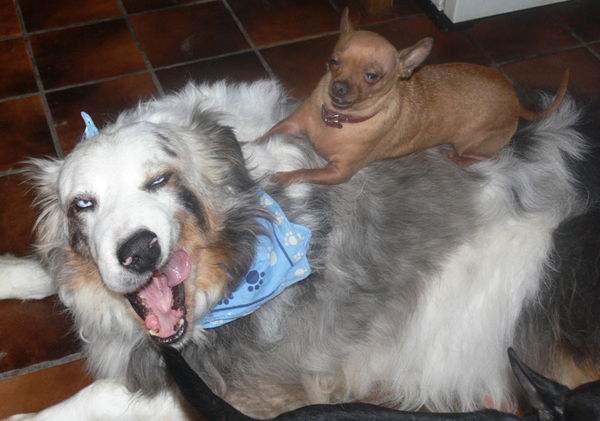 Does this man have possibly the lowest- maintenance Chihuahua on earth? Click to meet Plastico the Chihuahua and find out! THERE ARE HUNDREDS OF PURE BRED CHIHUAHUAS AND CHIHUAHUA MIXES BEING EUTHANIZED EVERY DAY IN OUR LOS ANGELES CITY AND COUNTY SHELTERS. IF YOU CANNOT FIND A CHIHUAHUA AT CHIHUAHUA RESCUE, WE ASK YOU TO PLEASE CHECK THESE SHELTERS AND SAVE ONE OF THESE PRECIOUS BEAUTIFUL DOGS. IT BREAKS OUR HEARTS THAT WE DON'T HAVE ENOUGH ROOM TO SAVE THEM ALL BUT YOU CAN HELP BY GOING TO THE ANIMAL SHELTER AND SAVING ONE DOG. Does "NO KILL" really mean anything anymore? Back by popular demand! Quality, conversation- starting Chi Rescue Gear! 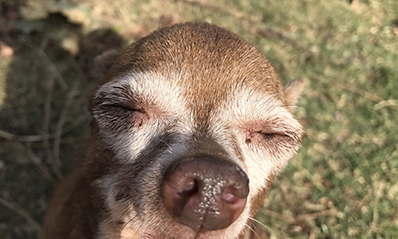 Chihuahua Rescue relies on volunteers to create and maintain this website. 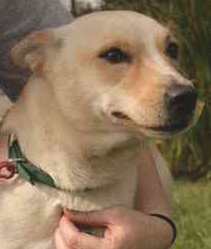 Pictures & descriptions are as up to date as possible, but seeinga dog here does not guarantee that a dog is still available for adoption and not all of our dogs are pictured. We have many more that need your help, so please come visit us during adoption Saturdays or complete an application online. We also welcome any comments you may have. Again, thank you and please keep visiting us online! PLEASE: Do not confuse us with other "rescues" who's names may be similar to ours. We are not connected to or affiliated with any other agency, rescue or group. We save dogs, and that's all we do. Contact webmaster to report problems, broken links, questions about this site and comments. 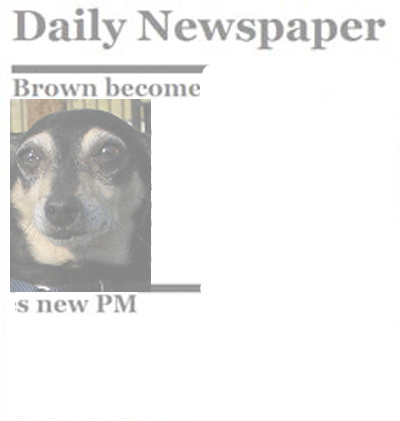 Mary is a tiny, but spirited 15ish, brown - and - tan Chi - X (possibly minpin?) partial - paraplegic cripple who had her spine and pelvis crushed and both her rear legs shattered. She obviously did not receive any medical care after her devastating injury so the bones set in their broken,Â mangled positions resulting in severe malunions, 75% paralysis below mid - back and any functional use of her legs but for the ability to stand for a few seconds, but not able to walk and she must drag her hindquarters. She may have also sustained internal injuries, but her bowel and bladder function normally and she is otherwise as healthy as can be expected. She was a surrender at a municipal pound, so her history of how she sustained the injuries is unknown, but the appearance of the injury is consistent with the horrific injuries a small dog would sustain if a human sat upon or stomped on her back and pelvis. A city animal control facility would not keep a dog with this level of injuries for adoption - they wouldn't waste the space because crippled dogs are rarely adopted - and these types of dogs get euthanized very soon after arriving. Luckily, a volunteer pulled her in time and Mary was placed into a loving foster home in southern California where she currently resides and is practically worshiped for her extreme cuteness, firecracker personality, and fierce loyalty. Mary enjoys long car rides, shopping, burrowing into fuzzy - blanket igloos, patrolling the front lawn and her favorite after dinner treat is Oatmeal cinnamon Cheerios with unsweetened rice milk. 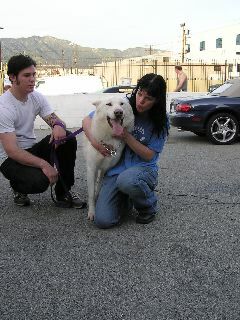 Pauley Perrette loves the dogs both great and small and isn't afraid to pitch in during a busy intake day. 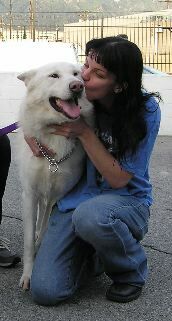 Here she is testing wolf-hybrid, "Spirit," for kissability and "snugglebility" - he passed the test! 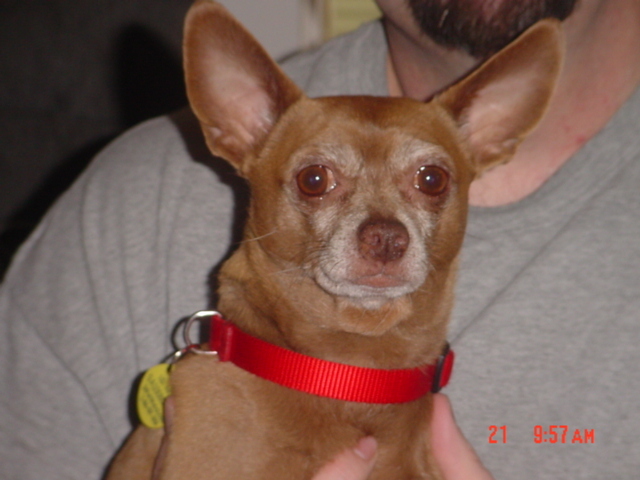 Mookie's rehab: Mookie, a Chi mix, was bailed out of death row, obviously abused and neglected. The twine tied tightly around his neck had become fused in his neck and hat to be surgically pulled out. He was infested with ticks and still has BB pellets embedded under his skin. He was understandably extremely aggressive and skittish and would not allow anyone near his cage or attempt to pick him up. Of course he was un-neutered and very emaciated from starvation. Mooks shortly after admission. He is very wary and will immediately bite everyone and anyone trying to get him out of his cage. Here you can see the extent of his malnutrtition wuth his vertebrae clearly showing undr his skin. Here you can see the scar where the string was embedded in his neck. He is starting to put on weight after a couple of weeks of therapy. 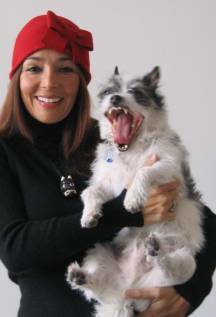 Our behaviorist worked with Mookie diligently for many weeks, day-in, day- out, Using calm, reassuring responses to establish trust. Mookie slowly began to crave and give affection and was able to trust some people implicitly. This is our boy now, after approximately 6 months of intense rehabilitation, a completely healthy and robust, trustworthy companion. Browse through pictures and stories of just a few of the thousands of dogs we have helped. Rokitu was rescued from a notorious backyard breeder (we have placed 4 of his offspring) who thankfully had to quit her "business' due to poor health. Because of the relentless inbreeding that went on, Rokitu and all of his children came to us with serious mental and/or physical pronblems. Rokitu was the stud and was bred with his daughters as well as he himself being sired by one of his older brothers. He had a tumor about the size of a gold ball on the top of his head that was growing and impinging on his brain. Chihuahua Rescue paid over $1600 having it removed in a delicate operation and he pulled through healthy and happy. Click on the pic to enlarge and you can see the slender scar going down the top of his head. This is how these two sleep every night. It's very cute. Yvette has had a hard life and she has to move on once again. Please give this adorable snuggler a chance at permanent love. A great girl, but is not good with cats. 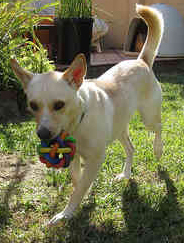 Chubs is a 3 yr old, neutered Chihuahua/Min Pin mix found wandering the streets in Santa Ana. He was left at the Orange County shelter for 1 week, but his family never came to claim him.He was just diagnosed with diabetes, so he will need insulin shots twice a dayâ€¦possibly for the rest of his life. Okay with cats, but he may badger them. Fairly mellow and he walks well on a leash. Heâ€™s a little love bug with a sweet disposition! He enjoys plenty of "lap time" and is very eager to please. Wonderful little boy that was turned into us by a person who found him wondering the streets. After trying to find his owner for two months she decided to turn him into us. He is friendly, about two years old and weighs about 5lbs. so they contacted us. He is very sweet, loving, and calm. This little guy walks very nicely on a leash too. Wonderful little boy! This owner turn-in is amazing when he goes for walks, he stays right next to you. Loves kids and cats donâ€™t bother him at all either. He is also very talented and can stand for a long time on his back legs. Special thanks to our Zef friends of Chihuahua Rescue: Die Antwoord. 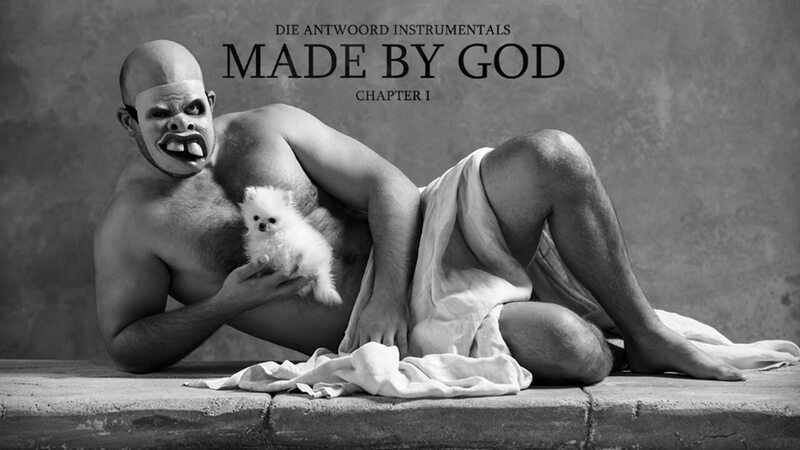 Thank you Ninja and Yolandi!